It started in the spring of 2010, when Facebook announced its Open Graph protocol and Graph API, while I was working at an Internet advocacy group, the Center for Democracy and Technology. At the time, this announcement seemed like the end of the Internet as we knew it. Anonymity was already a rapidly disappearing concept, both in terms of browsing habit privacy and in terms of what we called ourselves online. Visiting a website suddenly became like visiting several websites, exposing us to whatever diseases they might carry. We could either go along with it, or we could go underground. I went underground. I treated myself like a criminal, obsessed with keeping a very low online profile. I deactivated my Facebook and ran a Diaspora node instead (no one ever friended me), I left Twitter for Identi.ca (you wouldn’t know her; she’s from Canada), and I ran an unstable build of CyanogenMod on my Android phone that let me remove permissions from applications. I was a ghost in the shell, communicating only in dark alleyways of the Internet like a nerdy drug dealer. Regular Internet users rolled their eyes at me when I said, “I don’t use Facebook,” or “I won’t see your tweets; just find me on identi.ca.” In my righteous stand against being tracked online, I became an Internet hipster. And like a hipster, I was pretty smug about it. I was fighting the good fight, ready at the drop of a hat to offer my cool, insidery 2 cents. “Oh, you’re using Google Chrome? You know, Google knows everything about you now.” “You allow scripts? You’re letting Facebook know every site you’ve visited.” “Do you know how many ad networks you’re plugged into when you visit the Wall Street Journal online?” I felt that if everyone did what I was doing, the big companies would learn their lesson. They’d change, and the Internet of the mid-2000s would come back. We’d have our privacy. But in reality, I was “letting the terrorists win,” changing my established habits due to the actions of a few companies. Because I didn’t want to share my browsing history, or my name, or my location, I’d let them pressure me into crippling my own online experience. A year later I got married. Expecting this to happen only once, I didn’t want to miss a single picture or status update. Online privacy became less important than being tagged in wedding pictures on social networks—I figured I’d just go back into my hole once the marriage-celebration activity settled down. But I’d been away from the unfettered Internet for a year, and that small taste of social media allowed me to see the Web for what it was. It was a tool for communicating with other people, much as it always had been. I got back in contact with people I’d not spoken to in ages. I let my friends know what I’d been doing with my life, and I in turn got to see what they were doing. I was invited to parties I never would’ve known existed. It felt like discovering the Internet all over again. I loved it. Today I am nearly the very model of the typical Internet user. I use Google Chrome, and I’m even signed in to it, saving my Web history and preferences online. (Tell your favorite Internet privacy advocate you’re signed in to Chrome, and you’ll be lucky if he ever speaks to you again.) 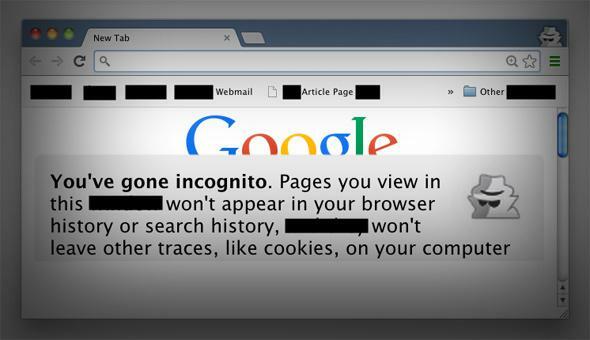 Any browser extensions I have are for convenience, not for privacy. My browser history syncs up with my Android phone. Even Twitter is growing on me. I still love Facebook (I am getting old) and on occasion have used it to sign in to silly games. I’m a believer in the Internet of the 2010s, of the interconnected Web where sites talk to one another. I can share content on a broader basis than I ever could before, and I enjoy what others YouTube, tweet, Tumbl, Pin, and Digg (just kidding). The unfettered Internet lets me spread my written work across (and via) social networks, as well as to help my voice acting career flourish, and I’ve learned to network—which is not a fun thing for the naturally shy. Now, what about my privacy? Here’s the thing: I still care, maybe even more now that we all know what bad little children our friends at the NSA have been. I still believe that major Internet companies shouldn’t be allowed to follow me all over the Internet. And why should I have to use my real name on a social network? The state of online privacy right now isn’t great. But it’s extremely unlikely revert to what it was back in the early 2000s. Innovation will follow the money, and there’s no money in being blind to what your audience is interested in, or being unable to find out what they like and don’t like. That’s why tracking technologies serve an important purpose. Websites, tools, and services that don’t give audiences what they like will fail. The Internet has been growing and innovating year after year since its inception. Streaming services, distributed networks, multimedia tools, social gaming, and so on—these are all things that require some sort of information about you to make them more convenient and more tailored to the way you browse. For instance, there’s a lot of gross stuff on YouTube (yes, that’s a cat eating earwax), but YouTube isn’t going to recommend that stuff to you, because it knows what you like. Facebook has been fine-tuning your content stream for years. If you’re wondering where all those stupid Facebook notifications for Candy Crush Trademark Abuse Saga went, they went away because you haven’t been “liking” them. You’re so mean. I still have reasonable privacy desires I would love to see fulfilled. I would love to tell Google Plus that my real name is “puffinluvr32” and not have it give me guff. I would love for Angry Birds to let me keep my location to myself. But I’m not going to exile myself just because I don’t have the perfect tools. Right now, the best practical privacy tool we have may be plain common sense: assuming that airing something online is the same as airing it from a megaphone. A generation is learning this the hard way right now, even with privacy tools embedded in most popular websites. The fact that we have first-party privacy tools at all is a credit to the work that Internet advocacy organizations have been doing. Facebook has made its per-post privacy controls and account deletion processes easier. IOS lets you control what personal data applications can access. Android seemed to be working toward something similar and will hopefully make that tool available in the near future. If we actually use those privacy tools, companies that provide them will know it and potentially make them better. If we avoid those companies entirely, or hide by other methods, they’ll have no clear incentive to implement effective ways to safeguard your privacy.